Morgan - I Say Ding Dong Shop - Buy Stickers, Decals & Unique Automobilia. 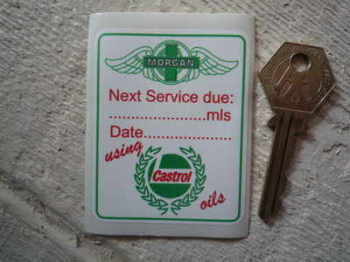 Morgan 'Using Castrol Oils' Service Sticker. 2.75". 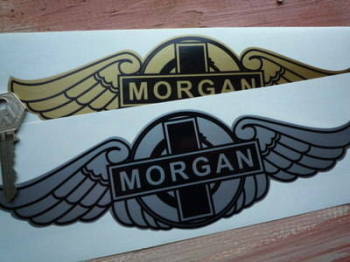 Morgan Black & Clear Winged Logo Stickers. 1.75" or 2.5" Pair. Morgan Circular Coachline Style Self Adhesive Car Badge. 35mm. Morgan Circular Self Adhesive Car Badge. 24mm. 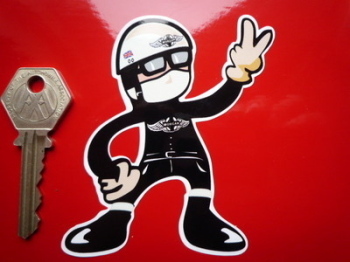 Morgan Driver 2 Fingered Salute Sticker. 3.5". Morgan Great Britain Union Jack Style Stickers. 2" Pair. 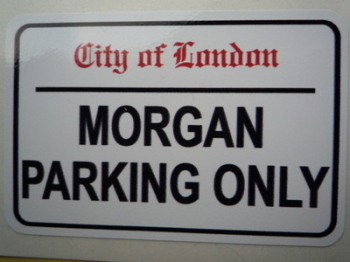 Morgan Parking Only. London Street Sign Style Sticker. 3", 6" or 12". Morgan Sales & Service Workshop Sticker. 23.5". Morgan Union Jack Fade To Black Oval Sticker. 3" or 4". Morgan Winged Logo Wheel Centre Stickers. Set of 4. 50mm. 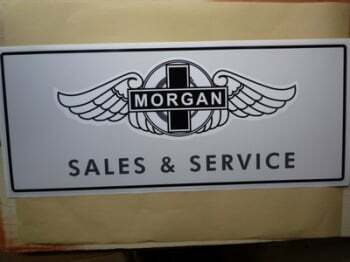 Morgan Wings Laser Cut Self Adhesive Car Badges. 1.5" or 2.5" Pair. The Morgan Motor Company White on Clear Window or Car Body Sticker. 8". Trico Windscreen Washer Sticker. 2.5".